Summer is soon upon us! Only 5 days away! Are you making your summer travel plans or are they already scheduled and booked? As you get ready for your exciting summer vacation, here are some traveling tips to get you packed and organized. It is recommended to keep a scented fabric sheet in the bottom of your luggage to keep clothes from smelling stale. I am not one to use these artificial, scented sheets so I would recommend putting a few drops of essential oil in the bottom of your luggage. It will keep your items fresh smelling. Keep an itinerary with the following information –flight numbers and times; phone numbers of travel agents, rental car companies airlines and hotels; address(es) of hotels and any place you plan to visit. When out of the country, have the address and phone number of your country’s embassy. Keep a list of the above info and other important documents in one location. Place them in a plastic envelope to keep them dry should your luggage get wet for some reason. Pack lightly especially by considering the shoes you are taking. They can get heavy. Choose a few pairs that goes with all of your wardrobe. Designate an outfit a day with one back-up outfit. Keep the entire outfit together. I lay out my outfits on my bed. This way I can easily count them and get a visual of what may be missing (ie belts, socks, accessories). Bring layers; especially if you are going from indoors to outdoors a lot. Roll your clothes in the suitcase to utilize space well. Double pack your toiletries in Ziploc Bags to prevent ruining your clothes should something leak. Better yet, consider taking your toiletries in your carry on bag if you are flying. If your luggage gets lost for some reason, at least you have your toiletries with you. Be sure you have all your charging cables for all your technology that you are bringing. Pack an outlet strip. Finding outlets in Hotels can be a challenge sometimes. Pack a few garbage bags for keeping dirty laundry separate on the trip. Wrap shoes in a small shoe bag so as not to dirty your clothes. 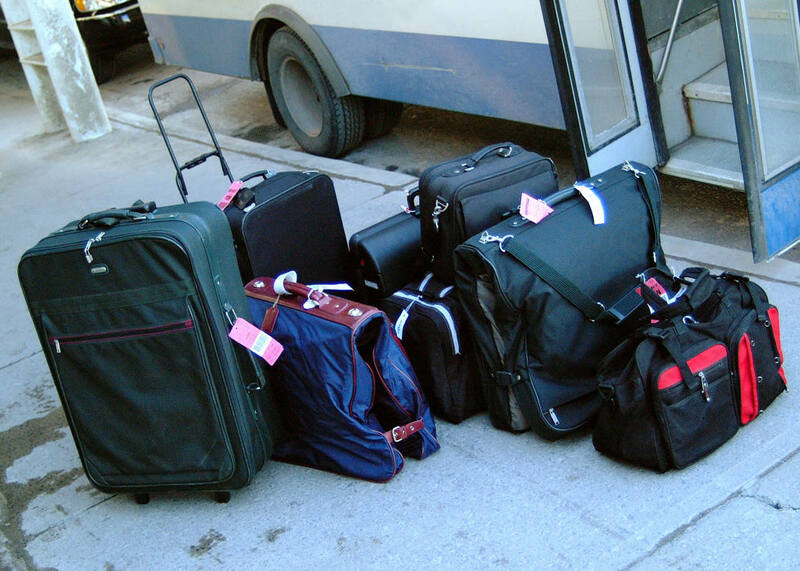 If you are flying, don’t forget to check with the Airline what their packing restrictions are. Consider taking a rolling suitcase as opposed to one you carry on your shoulder. Bring a small travel journal and of course a camera. Record your memories each day. You’ll enjoy revisiting those memories months later. Decide (before you get to the airport) how you are going to deal with TSA and which screening you will feel most comfortable with; especially if you have little ones. Make sure a family member or close friend has your itinerary in case of an emergency … on either end. Really think twice … no three times before posting your trip on Facebook. It’s not necessarily wise to publicize you are away from your home. Pack special bags for each child. Have a few healthy snacks, bottle water, something to read, something to color and something to play. Even consider a bag for mom and dad. Parents can get cranky too! Unpack immediately upon your return and put suitcases away. You’ll feel better when you do. Lastly, have fun and enjoy!!! !